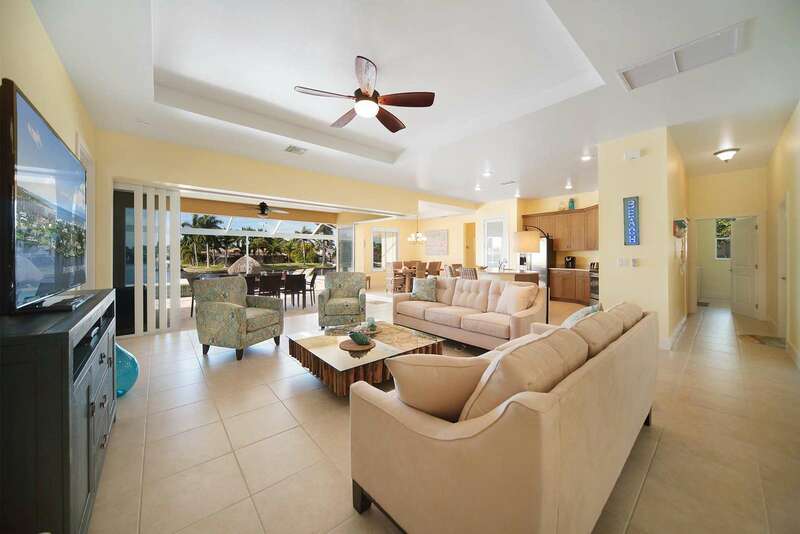 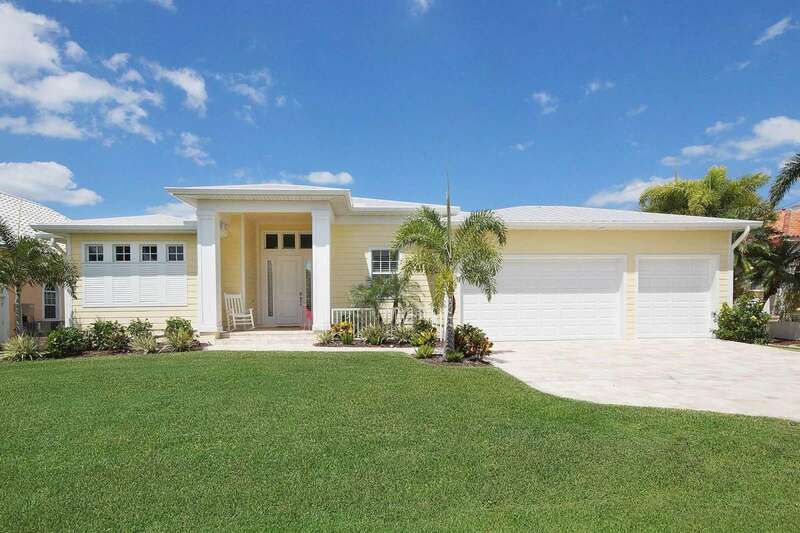 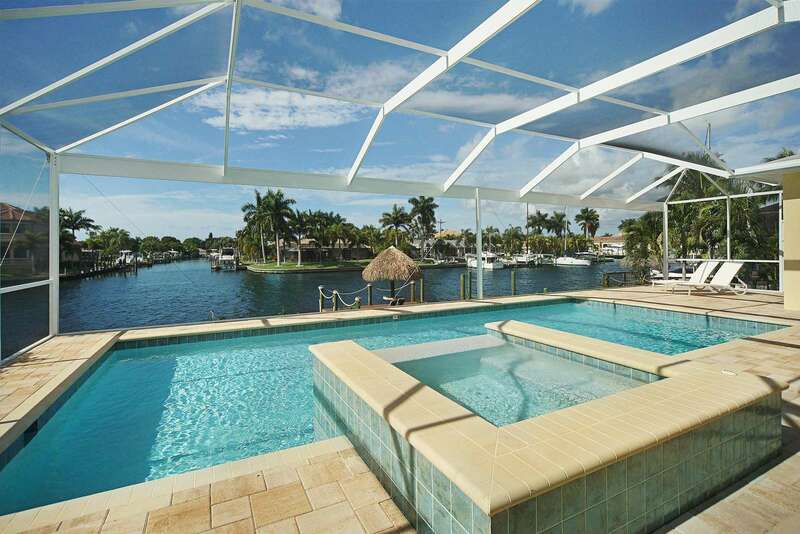 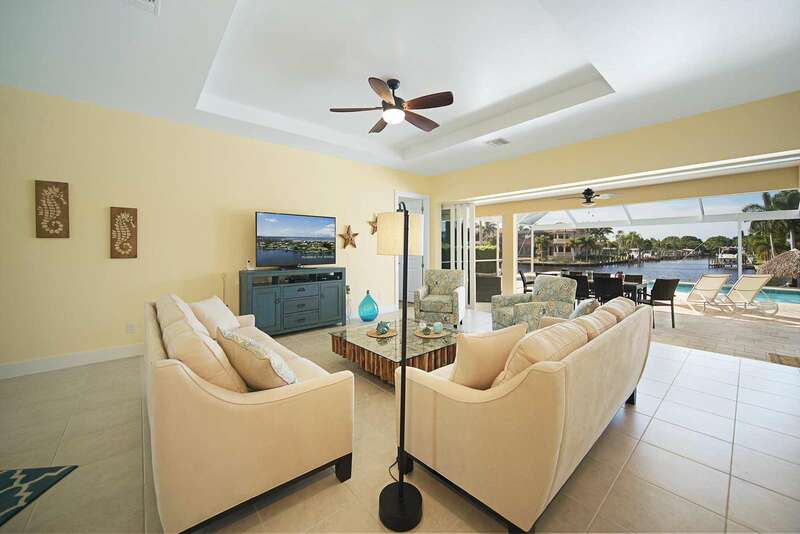 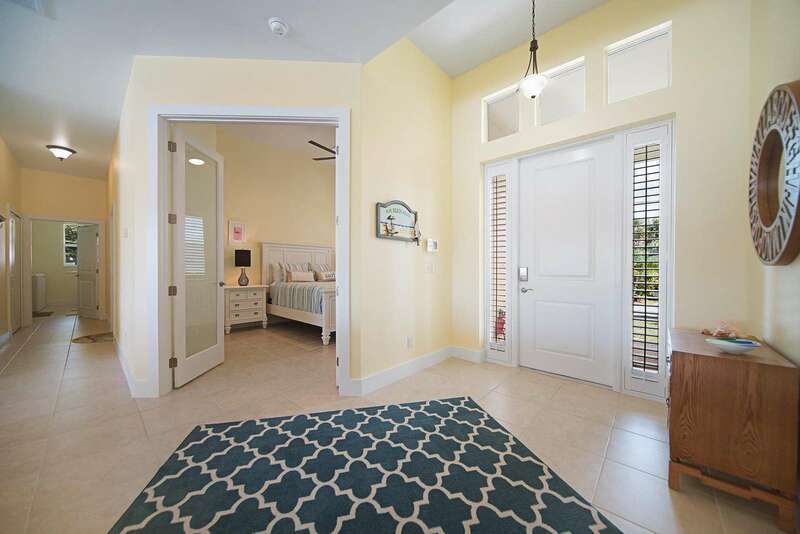 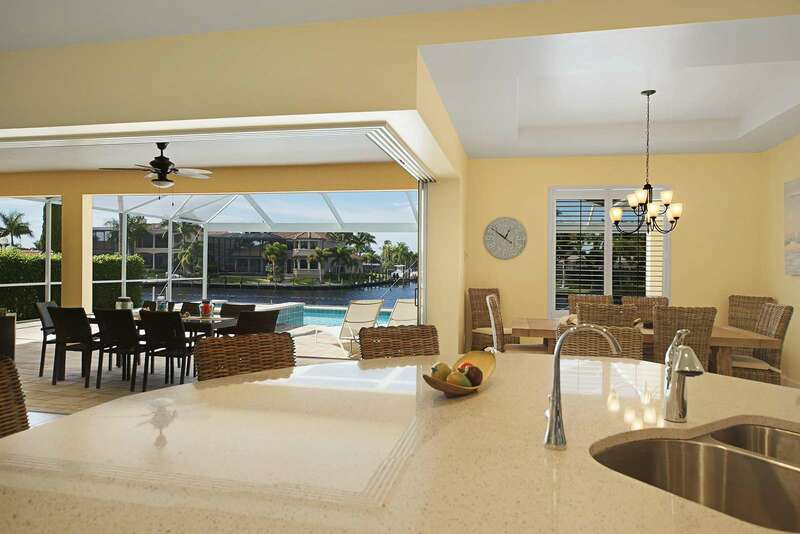 An overwhelming sense of happiness will greet you once you open the door to this perfect "Wischis Florida vacation home in Cape Coral - namend Paradise Key". 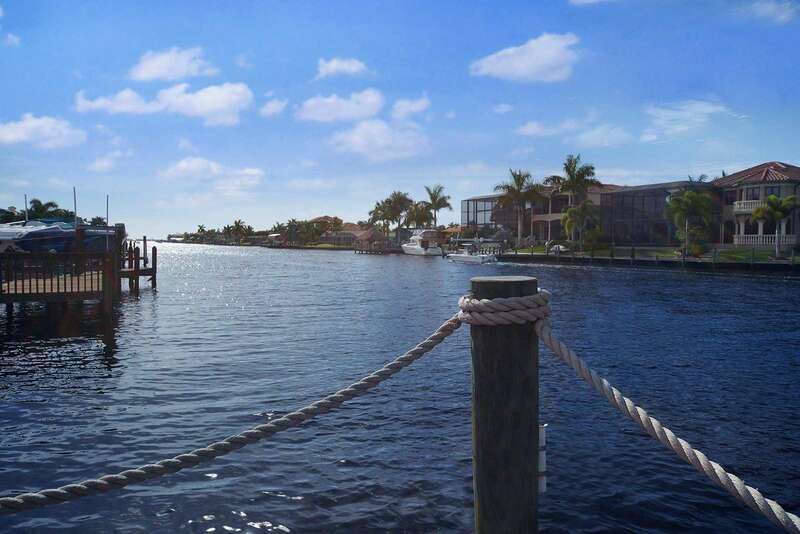 It is difficult not to have an absolute gorgeous view from in or outside the Paradise Key and you will see quickly why the vacation home deserves its name. 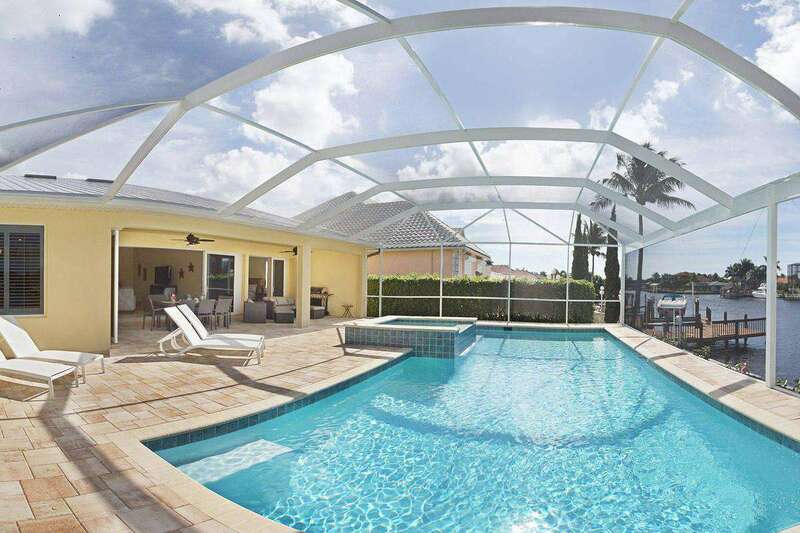 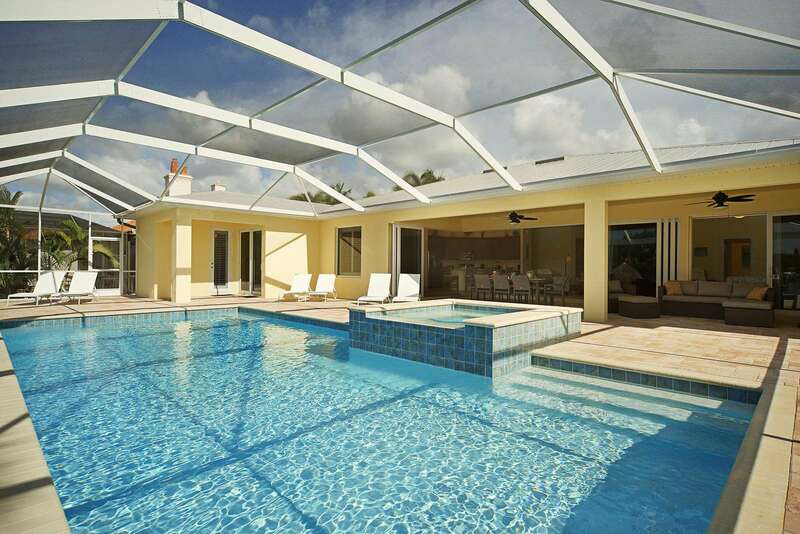 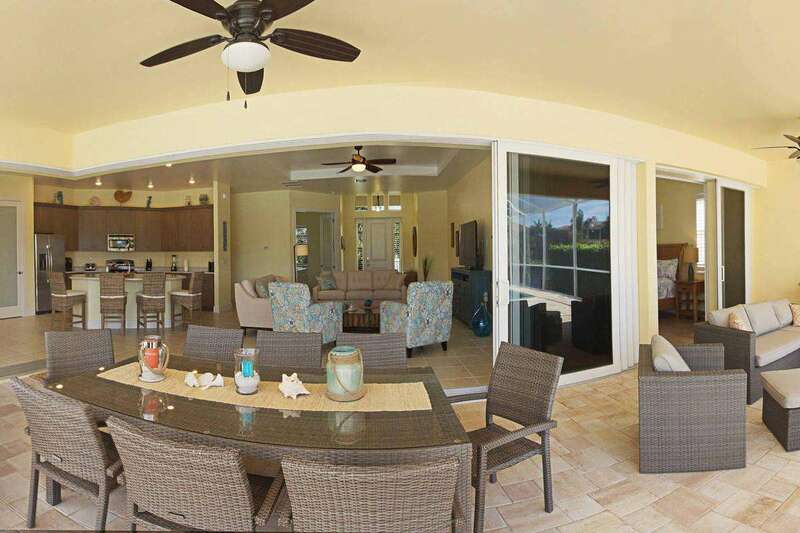 The oversize lanai come with an oversized pool that will let you swim your rounds in the morning and have lots of fun with the kids in the afternoon. 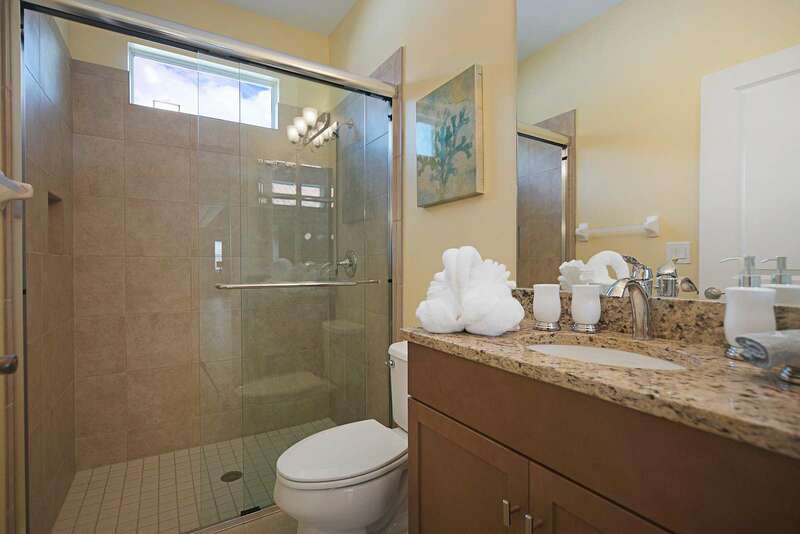 At night you can sit in the heated spa to relax and get ready for the next days adventure. 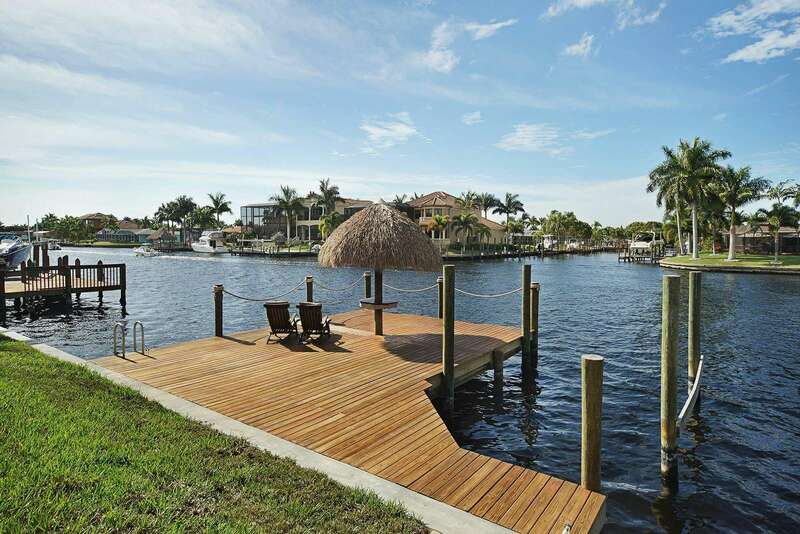 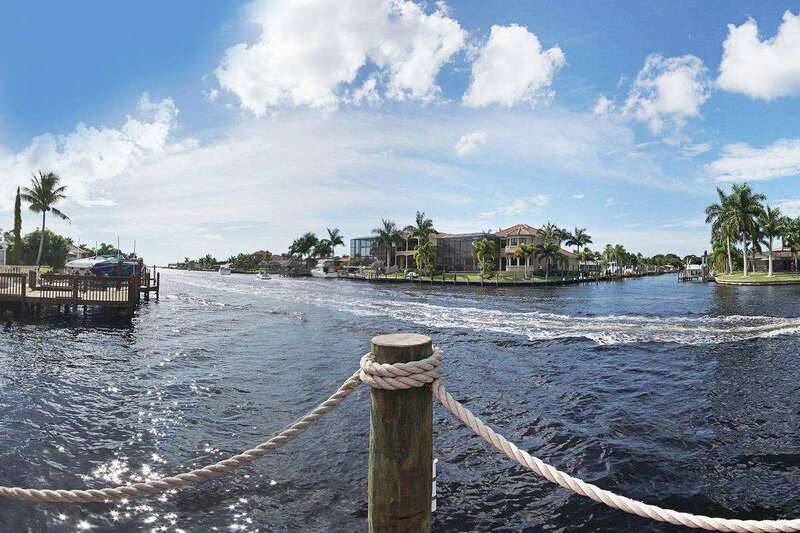 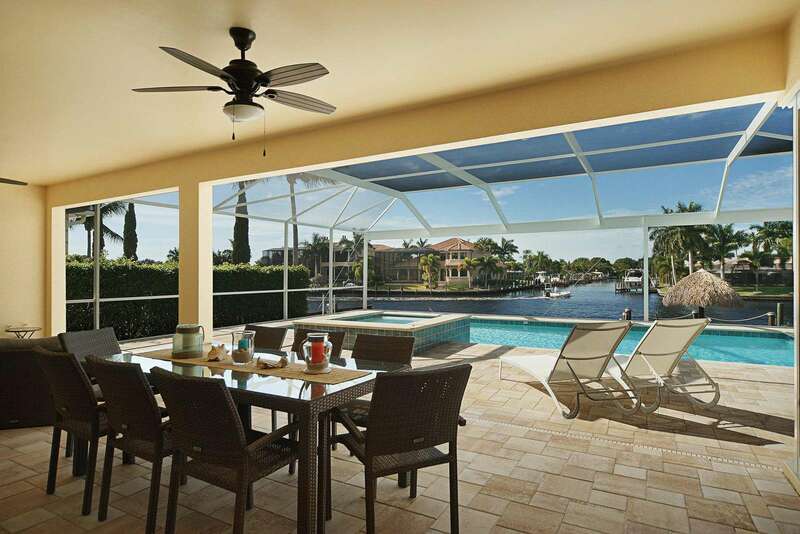 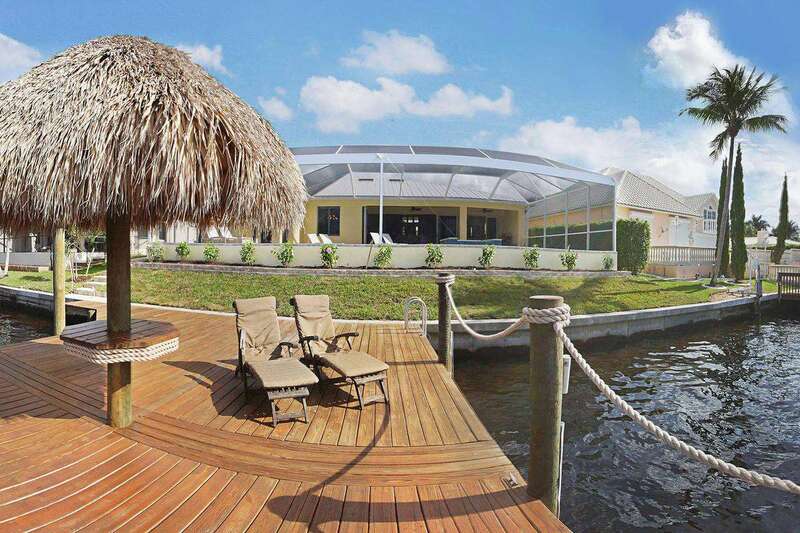 Located on intersecting canals this home is also a boaters paradise. 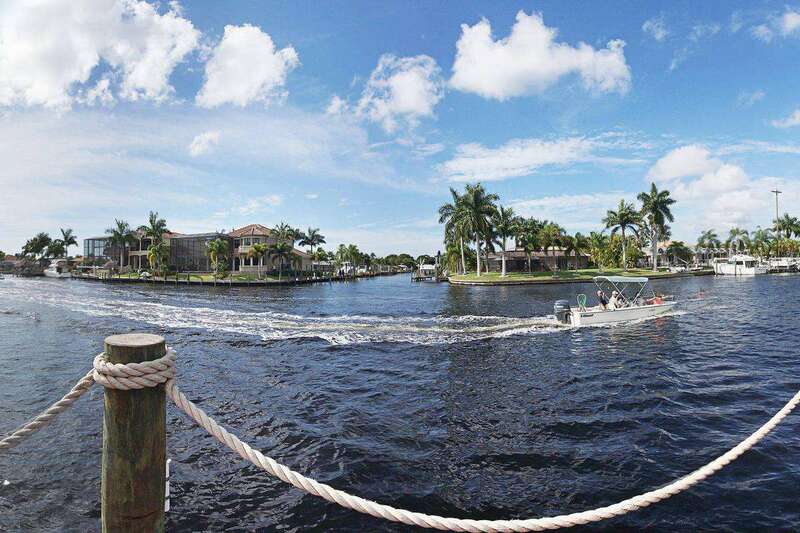 Only 3 minutes separate you, your boat and your family from the river which will take you out to the dolphins and islands you can only reach by boat. 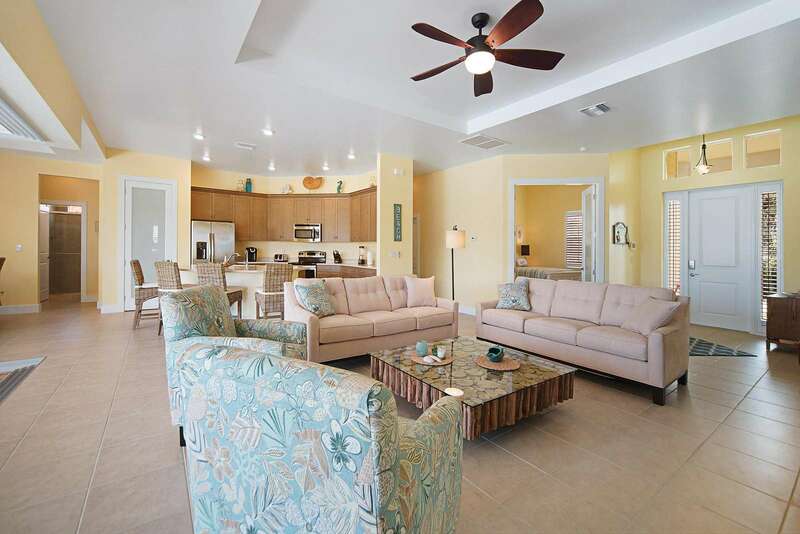 Quiet beaches and white sand awaits you and will make you wish you could stay here even longer. 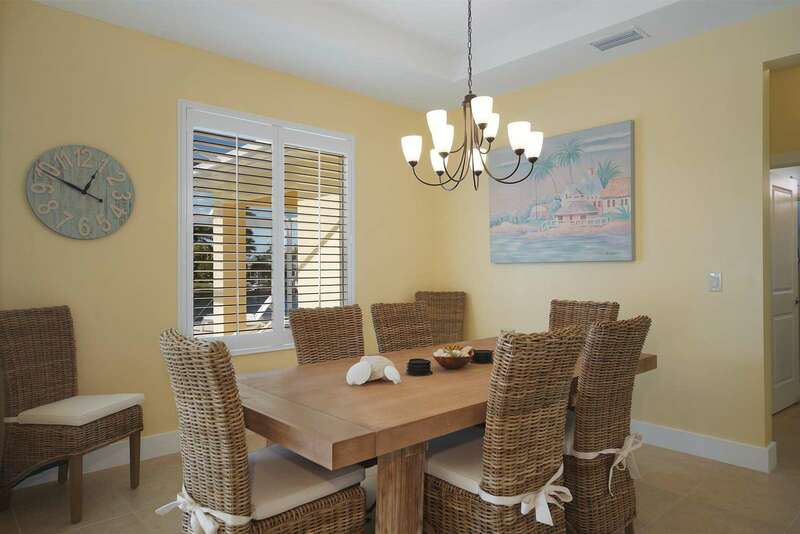 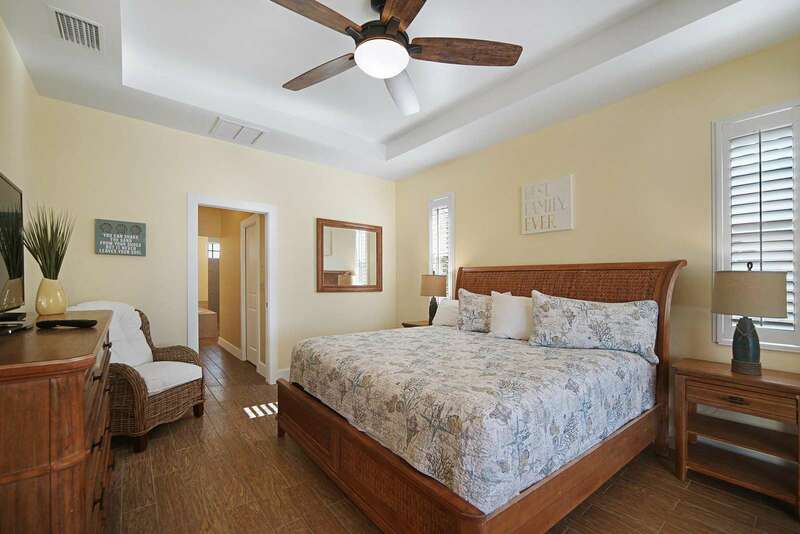 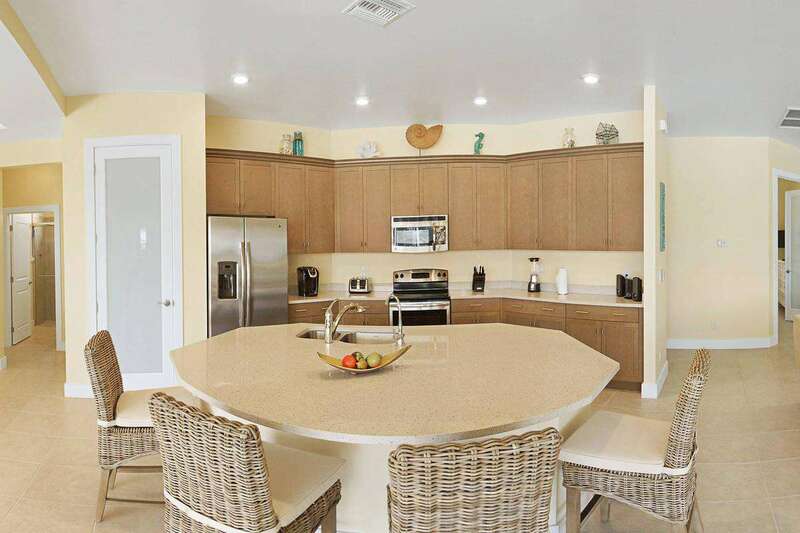 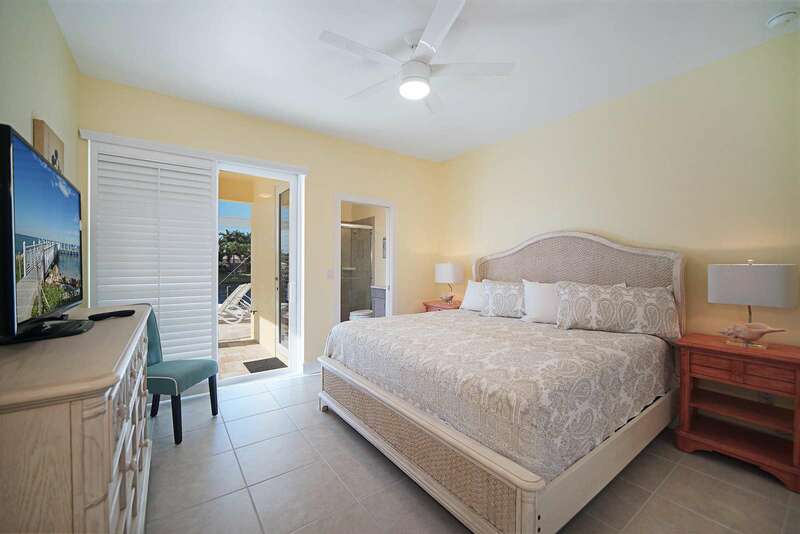 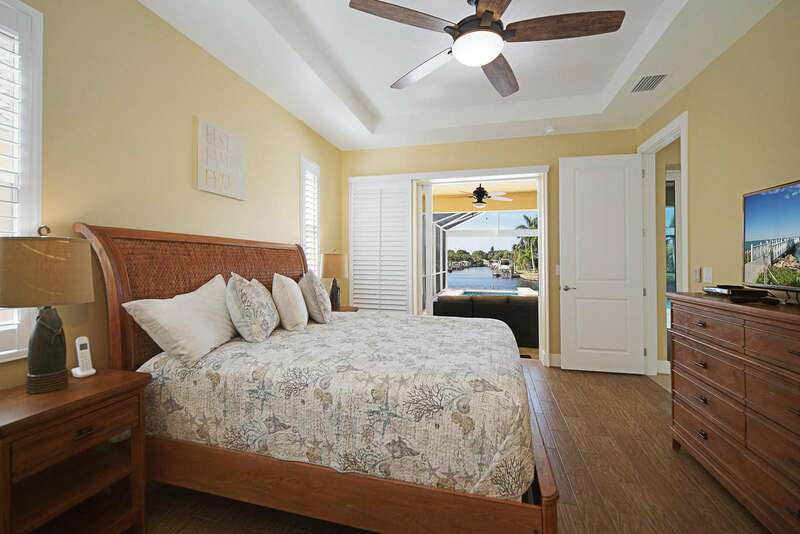 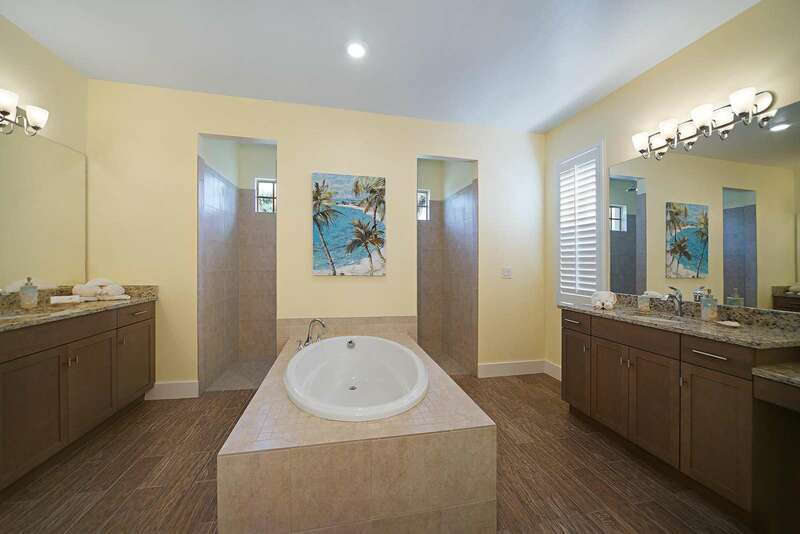 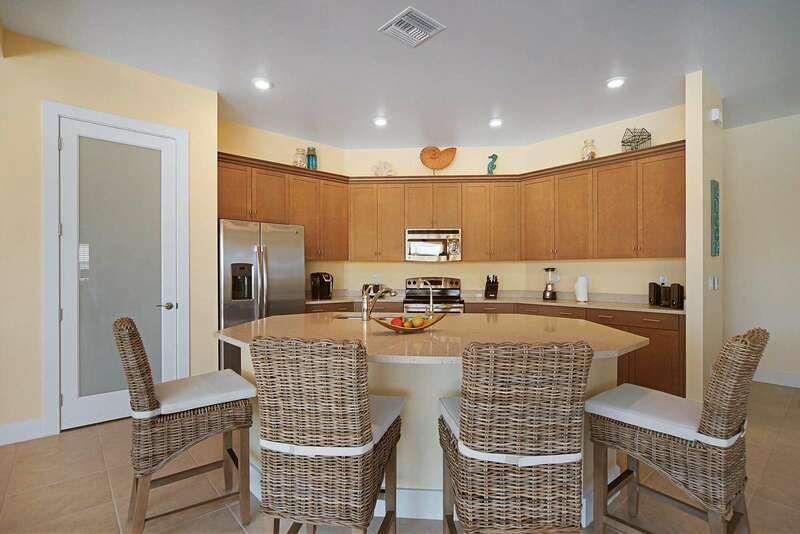 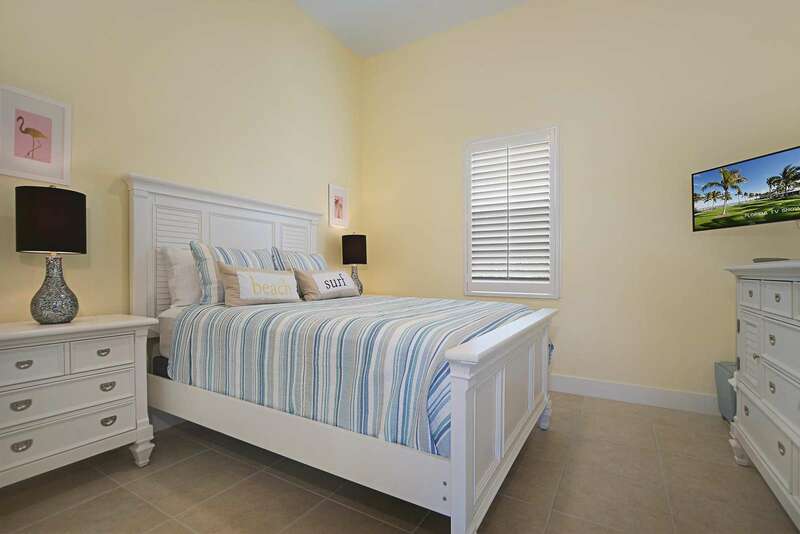 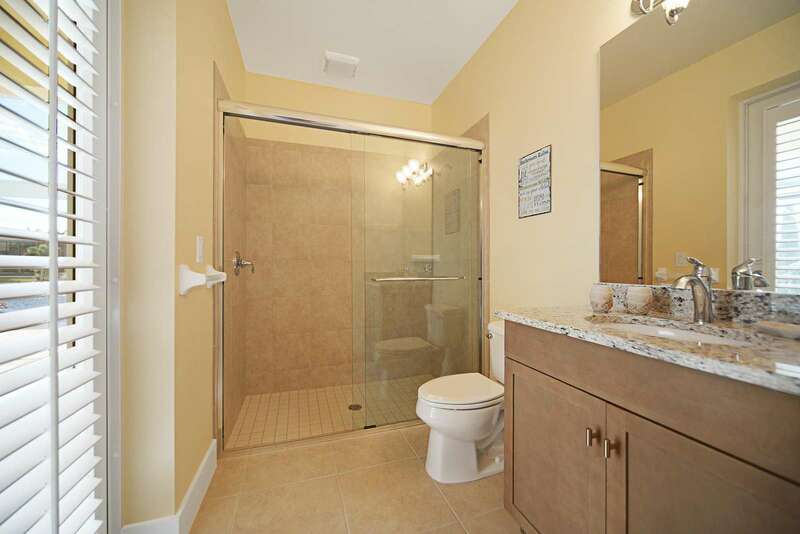 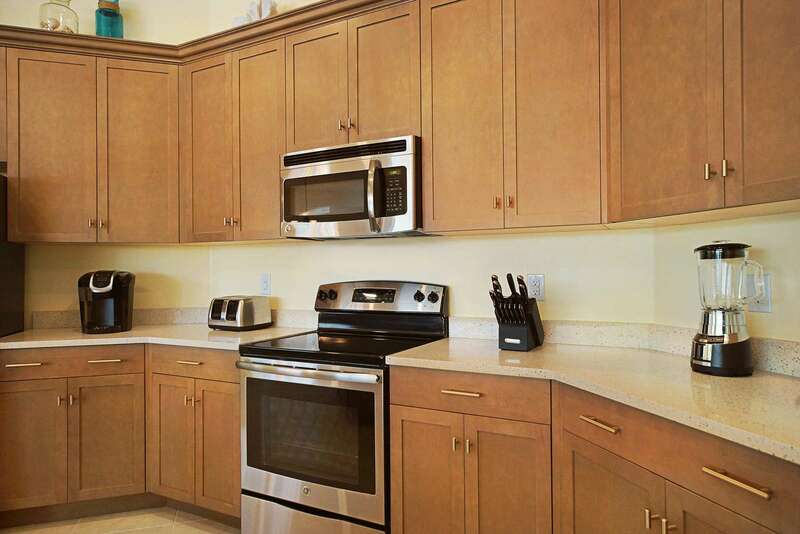 Back home in your Key West style vacation rental you can shower the salt water off of your body, get some rest in the large size bedrooms, make a snack in the beautiful kitchen or sit in front of the TV and simply relax. 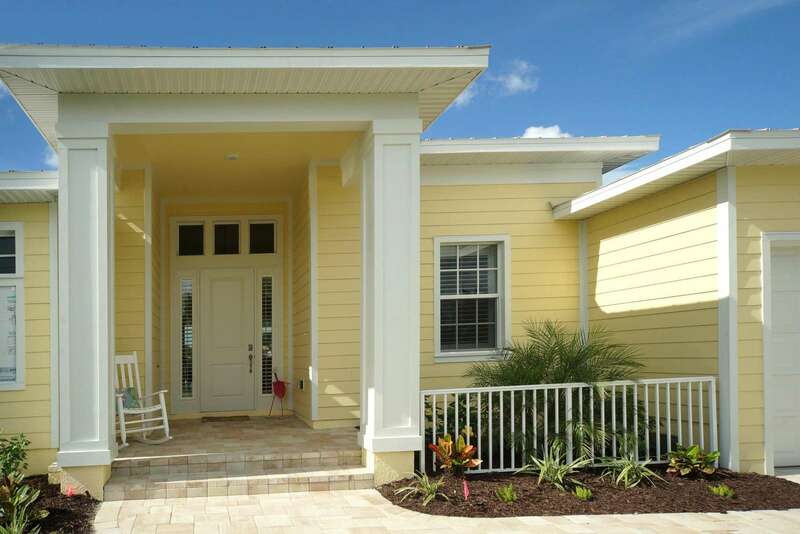 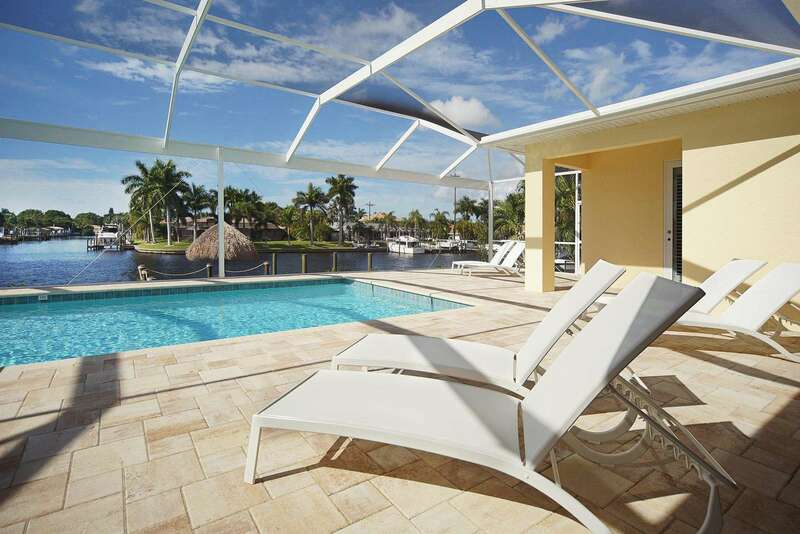 Book your vacation home in Cape Coral now! 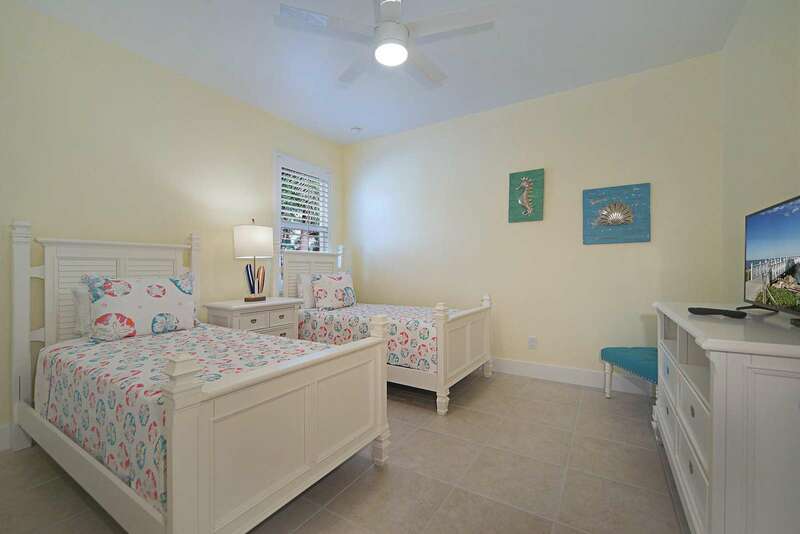 This property has 2 King(s), 1 Queen(s), 2 Twin(s).